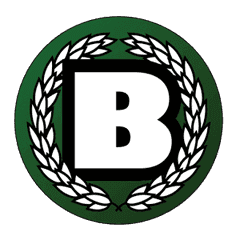 With the F1 season dawning upon us once again, the 2014 Fantasy GP on BadgerGP.com is now up and running. It's a fun and easy fantasy game: each player is given a budget of 75 million and must spend it on three drivers and three teams. You can change your line-up at any time, although there are some restrictions on changes from China onwards. It has been confirmed today that Michael Schumacher is set to retire from F1 at the end of 2012. 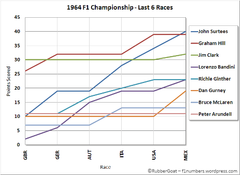 So how do we assess Michael's second F1 career? And more importantly, where does this leave his legacy? On Christine's post regarding Sebastian Vettel, Stuart Taylor asked this in the comments: "Anyone know the lowest position an eventual champion has been in with 5 races to go? Lower than 5th?" It was a very interesting question and I decided to look for the answer. As things turned out, it was not as straightforward as it first seemed, so at Mr C's request, I decided it was best to write a separate post to talk all about it. We've covered an enormous amount of topics in our Thursday Thoughts series, and we've got more to come before the season ends. If you want to pose a question, please sign up on the wiki, but for now, I'll hand over to our lead blogger, Journeyer. Schumacher: The comeback - The sequel? No matter what happens in Formula 1, it seems as though Schumacher's name is never far from the headlines. We rarely feel inclined to discuss the man, but are happy to host guest writer Journeyer's thoughts on a potential comeback from the seven times world champion. We've just witnessed a fascinating race in Malaysia, but what was it like to actually be there? Guest writer Journeyer gives us an insight into how things appeared trackside, plus what the Sepang organisers can do to make it a little bit nicer for the fans.